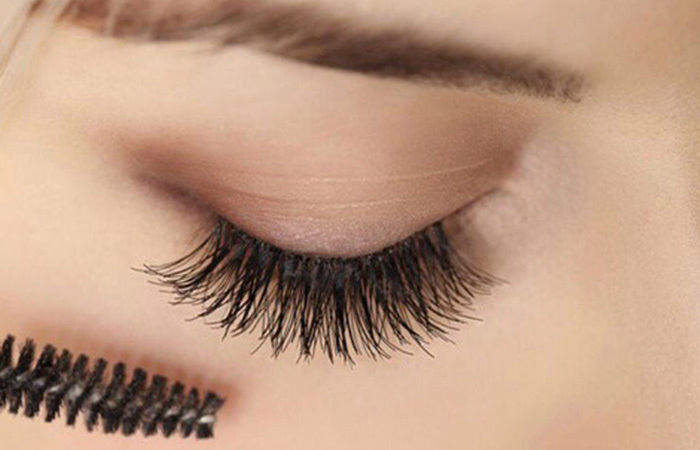 Killer eyelashes have the power to transform your face with their fluttery magic. While they are an asset for those who are born with them, it keeps almost everyone else longing for longer lashes. 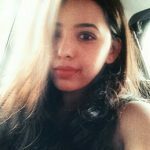 If you belong to the latter category and are done with all the effort you put into wearing falsies and mascara on the reg, this article is for you. Read our guide to find out everything you ever wanted to know about eyelash extensions. Eyelash extensions are a semi-permanent option for giving your lashes the volume and length of your dreams. They are the best solution for anyone who wants to jump out of bed with their lashes already looking dope. 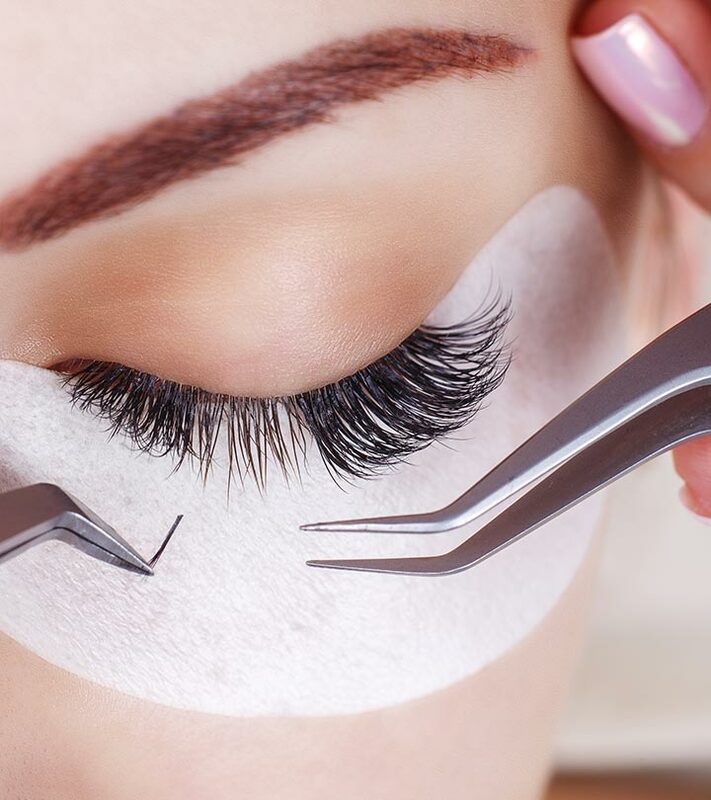 The procedure involves applying tiny black fibers (that resemble lashes) onto each individual lash with a special adhesive. Unlike temporary false lashes, eyelash extensions are neither a momentary commitment nor a DIY affair. A full set of lash extensions can take up to 2 hours to apply. They can be maintained year-round, with touch-ups recommended every 3 to 4 weeks. Semi sets or half sets of lashes are a great way to achieve a subtly dramatic effect. They are applied as fillers (to thicken your natural lashes) or applied towards the outer 2/3rds of your eyes. Eyelash extensions differ on a wide range of factors that are discussed in the next section. Eyelash extensions are made out of mink, faux mink, sable, silk, and synthetic fibers. If you can’t decide which ones to get, here’s what you need to know about each one of them. Mink eyelashes are wildly popular as they look super natural and real. These lashes are made from real hair and are perfect for anyone going for a light, natural look. Since they are made of real hair, they are easier to layer on and create a more dramatic look. They also tend to last longer as they don’t weigh down your natural lashes. Faux mink lashes are very similar to mink, except they are synthetic. They provide the same look as minkies – but at a lower price. They are also the perfect vegan option if you don’t want to use real hair. These babies don’t lose their curl even when they get wet. Isn’t that super convenient? Sable lash extensions are the thinnest of all. They are made from the fur of sable, a forest animal found in many parts of Siberia and Russia. They are ideal for anyone with naturally thin lashes as they don’t weigh them down. Instead, they leave you with a natural, wispy look. 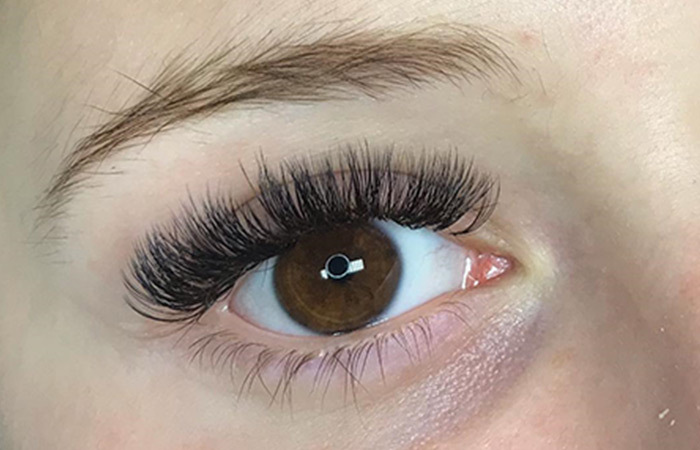 If you are vegan, allergic to fur, or simply looking for a more economical option, silk eyelash extensions are the way to go. They tend to be thicker at the base and gradually become thinner towards the end. So, they create the illusion of a fuller lash line. These lashes are also glossier and darker, which makes them perfect for creating a dramatic look. 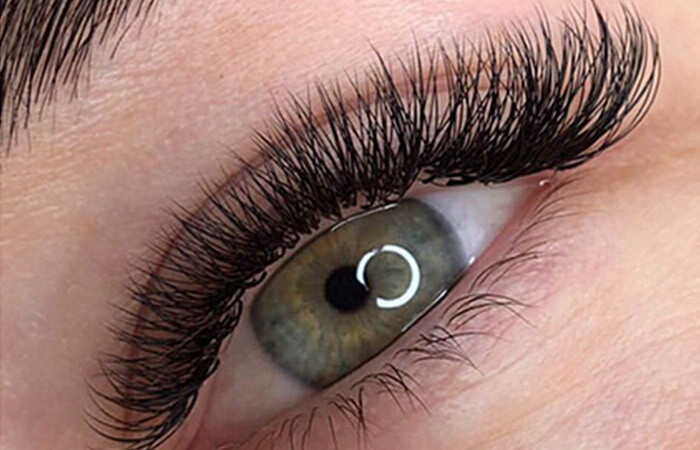 Synthetic eyelash extensions are a go-to for anyone looking for a bold, glamorous look. These lashes are perfect for making your eyes pop. Since they are not made with real fur, they can be found at a significantly lower price. 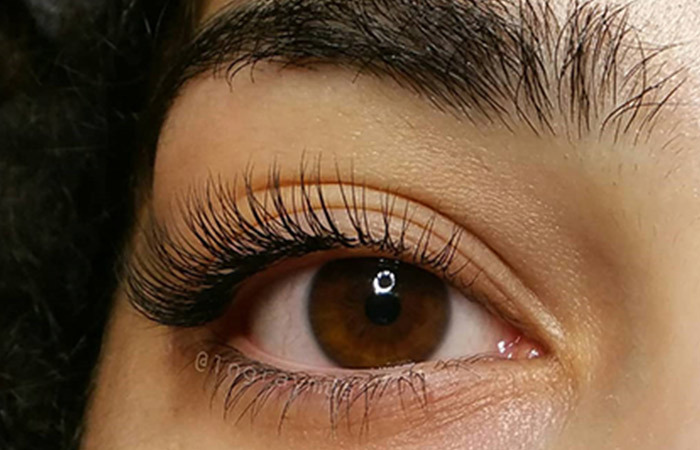 Here’s the most important question – how long do eyelash extensions last? Find out in the next section. 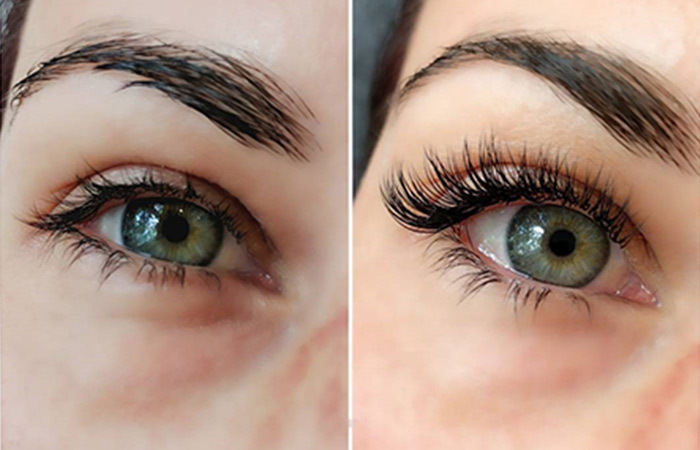 Lash extensions usually last through the full growth cycle of your natural lashes. This is typically somewhere between 6 to 8 weeks. However, since everyone’s lash growth tends to vary, specialists recommend lash maintenance every 3 to 4 weeks to maintain a full and clean look. Here’s a heads-up for the newbies: eyelash extensions are an expensive affair. An initial full-set lash application usually costs somewhere between $150 to $200. Then, there’s also monthly maintenance and refills that cost about $65 to $100. Splurging on expensive lash extensions from a renowned place is always better than going to a cheaper place that can’t be trusted. It’s your eyes, after all! Besides, cheap lash extensions applied by an inexperienced artist can cause problems like incorrect sizing, allergic reaction, a shorter life span, and even long-term damage. Therefore, it’s best you avoid them. 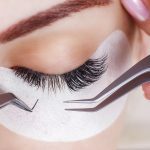 Though eyelash extensions need regular touch-ups to last longer, there are also a few things that you can do at home to extend their life span. Check them out in the next section. Avoid water and steam for the first 48 hours after application. Since the glue is still setting, exposure to water or steam can disturb the lashes and make them fall out early. You can still shower, though! Just make sure you don’t put your head under water. Also, no matter what, don’t rub your eyes. When you are taking off makeup, opt for oil-free cleansing products as oil can weaken the bonds of your eyelash extensions. Use a mascara wand to brush your lashes in the morning and evening to keep them in the right place and looking flawless. Don’t sleep with your face pressed against your pillow. Instead, sleep on your back. Go for touch-ups every 3 to 4 weeks. No matter how careful you are with your lash extensions, you will naturally lose them over a period of time due to your lash cycle. That was our complete guide to eyelash extensions. Longer lashes somehow manage to make your face look brighter and more youthful, even when the dark circles have set in. It transforms your entire beauty regimen and is a long-term shortcut to amazing lashes. Are you ready to jump into the world of lash extensions? Let us know in the comments sections below.